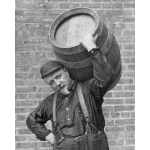 Beer History Slide Show: Got Beer? 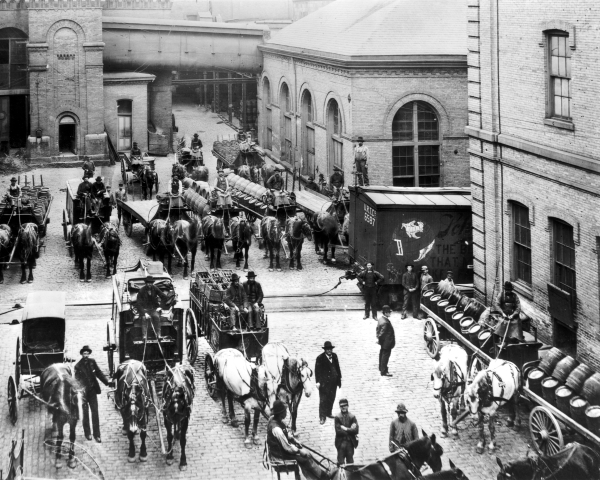 Schlitz Brewery Yard -- Delivery vehicles for the Jos. Schlitz Brewing Company, Milwaukee, Wisconsin, pause for a photo in the brewery yard before making their rounds.